Chuck had his first weekend day off in quite a while so we decided to take advantage of it and go on a hike. The weather wasn’t ideal, but we headed over to Mt. Tam anyway. 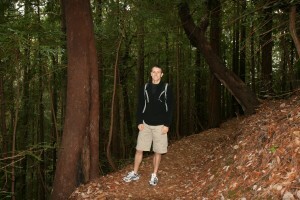 We did a nice look from Mountain Home Inn, down into Muir Woods and back around. View photos from our hike. This entry was posted in Activities, Greater Bay Area, Outdoors by jessica. Bookmark the permalink.